Teflon™ textile finishes are a portfolio of products to meet the demanding repellent and stain performance levels and sustainability requirements of the brand customer and end consumer. Whether you need a durable water repellent for a frequently washed fabric or the ultimate stain finish with fabric exposed to abrasion, check out the offerings below. Consumers know and value the Teflon™ brand with 90% worldwide awareness of the Teflon™ brand, and 82% of consumers are willing to spend more for products with Teflon™ textile finishes. Are you looking for a non-fluorinated water repellent that can withstand the elements and last? Teflon EcoElite™ finish is the first renewably sourced, non-fluorinated fabric treatment for durable water repellency and is manufactured with 60% renewably sourced raw materials. Teflon™ Eco Dry finish: a new 35% biobased, non-fluorinated good water repellent is also available. Teflon™ fabric protector is an industry leader in durable stain and soil protection for apparel, home textiles and a variety of other items made from textiles. Teflon™ fabric protector works on all fabric types by surrounding each fiber with an invisible molecular shield guarding against oil- and water-based stains, dust and dry soil. 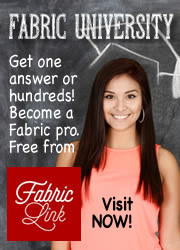 All of this, without impacting the look, touch, feel, color or breathability of the fabric. Helps consumers reduce their environmental impact. Fabrics treated with Teflon™ fabric protector can mean less washing, less water, lower wash and dry temperatures, less energy, less wear and tear, which can mean less impact on the planet. 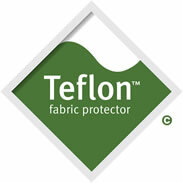 Teflon™ fabric protector releases stains during laundering. Other companies have been working hard to duplicate it, but they cannot match the superior stain protection of Teflon™ fabric protector. 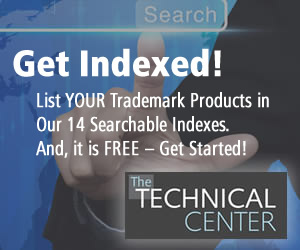 View the full portfolio of Teflon™ fabric protector products. Teflon™ down and feather protector keeps down-filled products performing like new longer, reducing the need for replacement. It has the power to preserve the integrity of the feathers, while withstanding frequent use. Find out how Teflon™ down and feather protector helps keep your down-filled products performing their best. When you choose Teflon™ textile finishes, you can rest assured that your products have met rigorous repellent and/or stain protection standards. Find out about the Teflon™ Textile Finishes Brand Assurance Program. Our alliance partner, Huntsman Textile Effects, sells all of these textile finishes and provides technical support to fabric mills/finishers and helps brands/retailers find the product that meets their customers' needs.